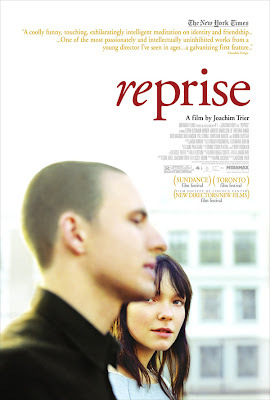 I had the pleasure of watching Reprise this week. It's a fantastic Norwegian film that recently released in the US to select cites, but more recently to DVD. The story - in a very roundabout way - follows the friendship of two guys, Phillip and Erik, who are both aspiring authors. It's presented in such a way that the narration even goes into the conditional; a way of presenting what could have happened to these boys as a nice contrast to what actually happened. Aside from the amazing story and refreshingly humble cast, the movie is shot with so much detail on natural lighting and truly picture-perfect shots. It's nice sometimes to see a movie that is artistically great without being the most indie film ever. Check it out. You will probably enjoy it. The debacle that is the US government trying to step into a free market for what Treasure Secretary, Henry Paulson is saying must happen and with a sense urgency, is nothing short of infuriating. Fannie Mae/Freddie Mac was one thing, but to insist on $700 Billion in taxpayers dollars for what would be the biggest governmental payout of all time makes absolutely no sense and is, similarly, extremely scary. These provisions will give an absolute and indisputable power to Paulson and the US Treasury and interrupt the natural ebb and flow of the American free market. It's insane. The proposal set forth would allow for no legal or legislative inquiry into, well, pretty much anything. 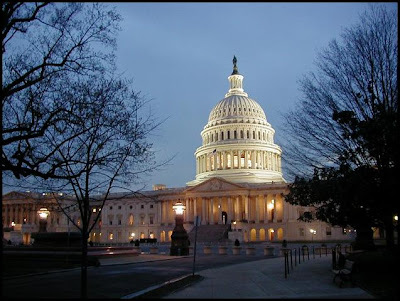 The Bush-Paulson bailout proposal includes the following language: “Decisions by the Secretary pursuant to the authority of this Act are non-reviewable and committed to agency discretion, and may not be reviewed by any court of law or any administrative agency.” And that is completely unacceptable. All of this came in the form of a three-page proposal set before congress and luckily there's been some sane voices in the senate in the form of Alabama Republican, Richard Shelby. He's one of the more refreshing names stepping forward and calling this idea for what it is: insane. Shelby did concede that something would go through, but agreed that for the proposal to be passes as is would be irresponsible and unwise. A really great album was released yesterday. I suggest you (yes, you) buy it. 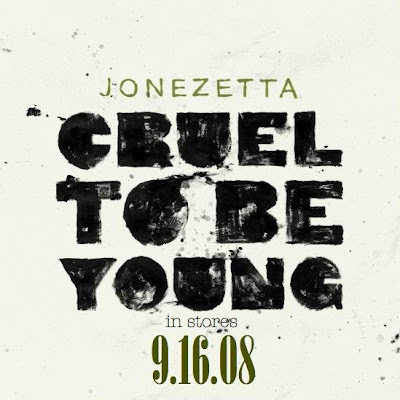 It's Jonzetta's newest effort, "Cruel to be Young." It's a much needed departure from "Popularity's" now-over-saturated dance/rock/pop sound and steps into an awesome west coast circa 1970 / British pop hybrid. It's catchy, well-structured and just easy to listen to without being 'easy listening.' No no, there's much more depth than simplicity on the record and is well experienced in nearly every track on the record. I'm certain these Mississippi boys will find a newer, more mature fan base to enjoy the sound and, if nothing else, can boast that they've greatly progressed and written an amazing record. 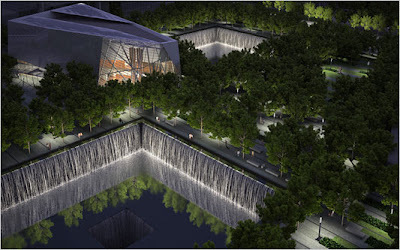 A mere seven years after 9/11/2001, new plans have finally been finished and approved for the new Ground Zero memorial. And by looking at the photo above, I have a feeling that it's going to have been worth the wait.